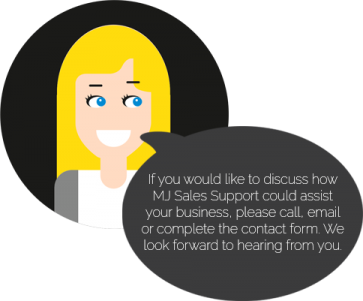 mjsalessupport | MJ Sales Support Ltd is a sales consultancy providing professional, impartial and focussed interim sales support. We’re a management consultancy specialising in FMCG sales, providing commercial support, strategic thinking and a creative sales style. We are passionate about sales, growth, profit and people – the key factors for your business to succeed. Our FMCG sales and management experience of over 16 years, ensures that you will benefit from a wealth of industry knowledge and expertise. With our vast networks across a number of sectors, we will build awareness to gain exposure for your business and products. We have worked with various UK and European manufacturers, driving growth across private label, licensed and branded products. Building relationships, listening to your requirements and providing a consultancy service with integrity and trust is how we thrive. So if you’re looking to develop your existing business or launch your products in the UK, click on contact to drop us a line and let us help you grow! We understand that in business, flexibility is a must so our below services are available on a short or long term basis. We’ll start the growth journey by having an informal chat with you, to listen learn and understand your business and objectives. Using our expertise, we’ll advise you on the best plan and will execute a solution to meet your needs. Our promise to you, is to provide continued support whenever you need it. With MJ Sales Support you can be sure that you’re in good hands. “Melanie has brought great value to a number of businesses I have been fortunate to be associated with by consistently exceeding expectations and provides a significant understanding and empathy with the various food categories she is exposed to. Melanie has an understanding of market trends and instincts for identifying new product development or category insight and ability to sell through and project lead. Not only can she provide stellar service to existing customers, but can operate in B2B and Business to partnership accounts. Melanie has the combination of business and communication skills that makes her an all round commercial person with integrity." “Melanie has worked with me for a number of years and has always demonstrated confident, capable and dedicated commercial skills. Melanie offers a wide array of expertise and a wealth of experience, however her specialism focuses on formulating and developing effective strategic business plans which ultimately drive profitable growth. “I have found the strategic expertise and professional support provided by MJ Sales Support invaluable. Mel has helped the business align more effectively to deliver strategic growth, and successfully facilitated a review of key development activities, which has resulted in a real step change in the NPD department, and a noticeable improvement in individual and team performance. The varied and thorough support Mel can offer would be an asset to any business." “MJ Sales Support was invaluable in coaching and up-skilling both myself and our sales team. Mel tailored the approach required for our specific project, giving us the necessary tools and training to significantly improve the quality and content of our retailer relationships. Additionally, Mel's ability to work at pace, with humour and patience ensured that our objectives were met in record time. In short, she's great." “I have known Mel Jewitt for over seven years and would highly recommend Mel’s commercial acumen, sincerity and attitude in handling major retail customers. Mel’s partnership led skills and natural relationship style has over the years given her a very detailed insight into retail supply, product development, category and working closely with factories to ensure an effective business relationship is maintained and can grow good business. “I worked with Mel on various projects to deliver exciting private label projects to the major retailers. Mel is a hard working, positive person who always looks for solutions rather than problems. I would highly recommend Mel to any business who is looking to grow their sales." "Mel, thank you for your help. "I had the pleasure of working with Mel for around 9 months. In that time Mel clearly defined our company's sales strategy. Mel did this holistically as she has unrivalled knowledge of account and project management, the NPD and innovation process and the ability to align all key-stakeholders. Not only does she work with pace and focus Mel is a joy to work with. Mel has the emotional intelligence to hit the ground running in any organisation." “I had the pleasure of working with Mel whilst at Maple Leaf Bakeries UK Ltd, where I was of Head of Innovation. I found Mel to be very thorough with a clear understanding for NPD detail. Mel had a positive energy and a personable nature - professional with both internal and external customers, reliable, and always willing to go the extra mile. “J&K’s work with Mel (MJ Sales Support) aimed to improve and more closely align our strategy with our main retail customer, as well as work on a major project with the same customer. Both myself and my team here at J&K were very impressed with the high amount of knowledge Mel had of both the retailer, the category we were working on and also how to improve upon our strategy. What we appreciated most about working with Mel was her ability to cut through the predictable politics of a project, keep everyone happy, and deliver the expected results and then some. “MJ Sales Support worked with us on a number of improvement initiatives around cost control and product specification adherence targeted on a new business win. Mel demonstrated great enthusiasm and structure to the project and helped the team quickly demonstrate tangible improvements both financially and on quality metrics for our customer. "I have no hesitation in recommending the services of MJ Sales Support. Mel offers extensive knowledge of the food industry in the UK and Europe and has the added advantage of having worked with both retailers and suppliers. I have worked with Mel on several occasions and found her knowledge and services invaluable. In addition to a thorough understanding of the market, Mel also understands the complexity of customer needs and customer trends, which was something I found particularly useful. Attention to detail and dedicated professionalism make MJ Sales Support an ideal partner to work with for both small and large businesses alike." © MJ Sales Support Ltd is registered in England and Wales No. 9665753.